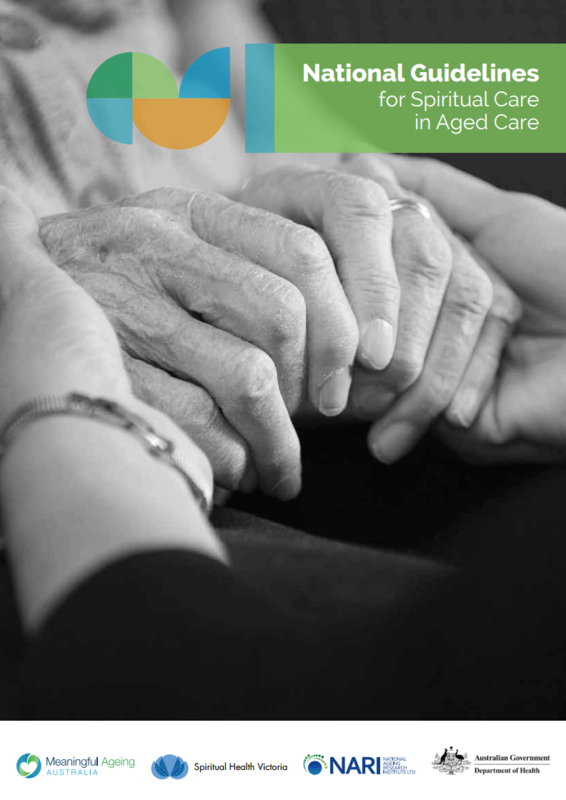 Meaningful Ageing Australia are pleased to offer a range of hard copy resources. 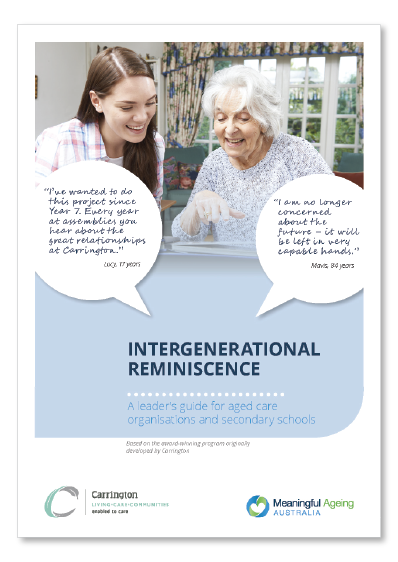 These beautifully designed, evidence-based resources are a must-have for all aged care organisations. Most of these hard copy resources are available free to member organisations. Please login or apply now to join. 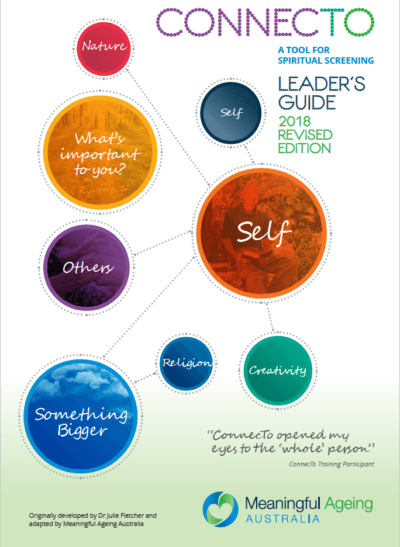 Member organisations can order hard copy versions of the comprehensive Leader’s Guide at no cost (with a limit of one copy per location. Additional copies are charged at a special member’s rate. Please contact us for further information). Supplementary material to support your implementation is also available for download. Orders outside Australia will attract a postage charge. 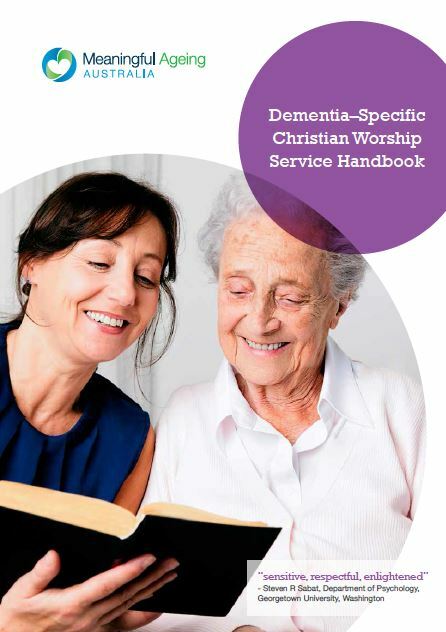 This Handbook was originally produced by Churches of Christ Care Queensland, following their success in being awarded the inaugural Meaningful Ageing Australia Quality Practice Award in 2015. One copy free for each member. Additional copies available for purchase. 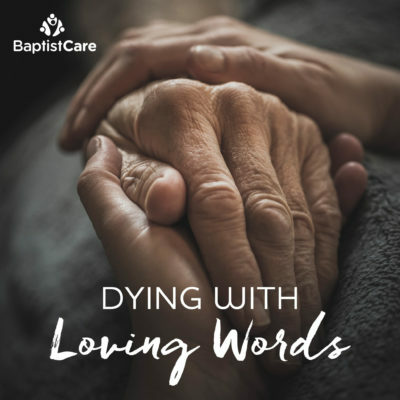 This beautiful booklet of prayers (from a range of traditions), poems and photos is your ideal companion for spiritual care when supporting someone near the end of their life. Please email admin@meaningfulage.org.au to order your free sample copy. This guide was originally produced by Carrington, following their success in being awarded the Meaningful Ageing Australia Quality Practice Award in 2016. Members can order one free sample per location. Additional copies are $0.55 each. 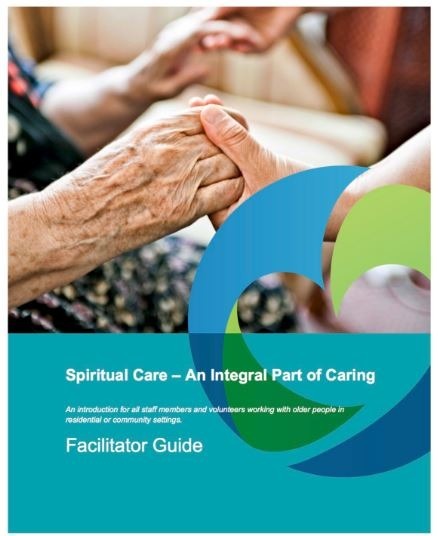 This Guide had its origins in material created by BaptistCare NSW & ACT. 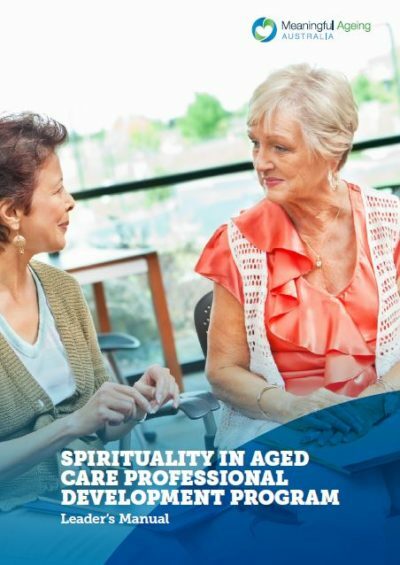 The contents have been informed by the experience of Meaningful Ageing Australia staff in establishing spiritual care volunteer programs, as well as published literature, and input from our members. 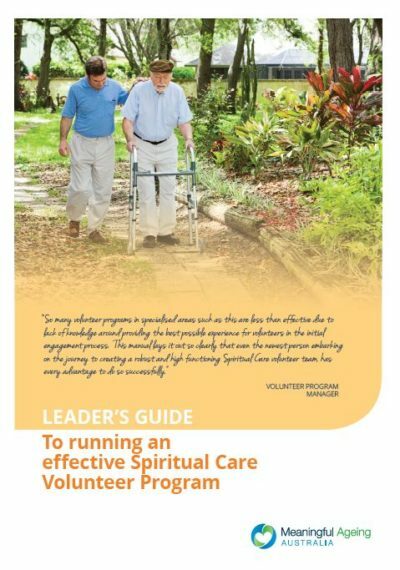 It features a comprehensive appendix linking to templates and forms to assist in running an effective spiritual care volunteer program. Member organisations can order hard copy versions of the comprehensive Program at no cost (with a limit of one copy per location. Additional copies are charged at a special member’s rate. Please contact us for further information). Members can download the supporting material at any time. Outside Australia: You will be given access to downloadable supporting materials after your purchase. 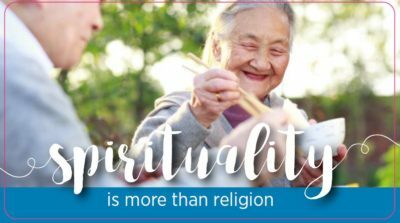 Originally trialled in multiple locations by Spiritual Health Victoria with outstanding feedback from all participants, this new edition has been updated and refreshed into a program that can be run in small parts or as a whole. It features clear links in the Manual with the PowerPoints to make facilitation easier, and has optional extras such as links to films.